The DESERTEC Foundation, which is being led by major banks such as Munich Re and Deutsche Bank aims to tap into the enormous solar energy potential of the Sahara. 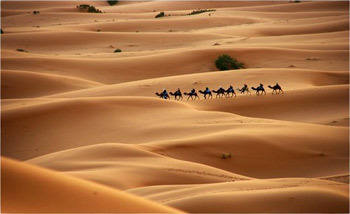 Just a small portion of the Sahara could meet all of Europe’s and Africa’s energy needs. Politics are the main barrier, but if this can be overcome, the potential is unlimited. 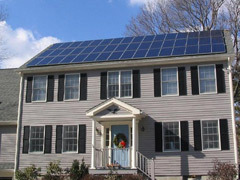 The US Department of Energy aims to reduce the cost of solar photovoltaics to $1 per watt by the end of the decade, which would mean that solar panels are finally 100 percent competitive with other energy sources in the absence of subsidies. US e-Chromic, based in Colorado, is developing so called sun-smart windows that automatically change from transparent to reflective on hot days, thus dramatically reducing energy consumed on cooling. Posted on June 15th under Renewable Solar Power.